The Saab Owners Club North West Branch is once again organising its annual run with a new name, The Peaks and Plains. oon tea and a tour around house. Finally for those who wish to join us at Windy Harbour after the drive, there will be a buffet in the evening to finish the day off. Comments Off on Some things will always be beautiful. And that includes your Saab. We know how it feels to own one of these special cars, and why you want to keep yours looking – and driving – like perfection. 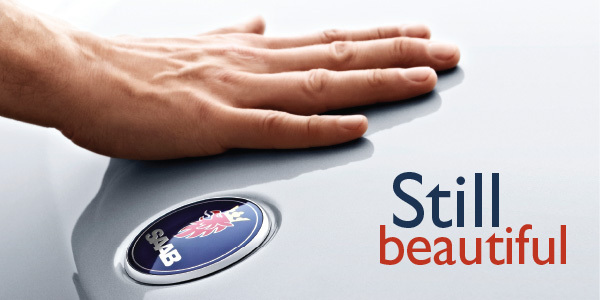 So when you book your Saab in with us for any service, we’ll fit a gorgeous new bonnet badge for free*. You love your Saab. But we also understand that – as your car gets older – you may need a simpler kind of care. So as well as our standard servicing, we offer Saab Fixed Price Servicing – so you’ll know exactly how much it’s going to cost. Annual service for just £249 – includes oil and filter change. New air, fuel and pollen filters. Drive-belt, transmission and brake checks. 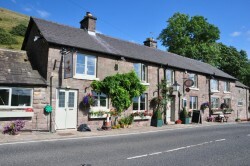 Another evening drive, this time to one of our favourite venues, The Knights Table, Quarnford, Buxton SK17 0SN. cost £10 per head, please ring Richard 07801103426 or John 0161 929 9155 if you wish to join us. 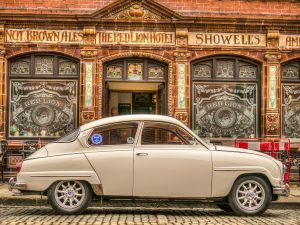 The Saab Owners Club North West Branch will be holding their monthly meeting at The Rose and Crown in Allgreave, Macclesfield. We will start the evening at Lyme Park at 6:45pm to travel to the Rose and Crown on a leisurely drive through the Derbyshire and Cheshire countryside. It will be £7 per person which will include sandwiches and chips. Those wishing to attend please contact Richard Elliott on 07801103426.